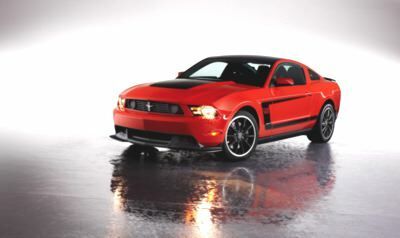 Home » 2012 Mustang Boss 302 Announced! 2012 Mustang Boss 302 Announced! What can we say? As exclusively first reported here: http://www.drivingenthusiast.net/sec-blog/?p=7440 – and since then viewed by over 10,000 individuals in our blog and on our YouTube site, the Boss 302 was indeed announced today. We are speechless over the announcement… Ford has done an incredible job. Over the next few days we’ll have all the news, and especially the analysis of what they’ve done. There is so much news, we’ll start with the press releases and then go from there. Stay tuned to this and every other automotive news outlet on the face of the earth for all the details.